The ICMDA Leadership in Christian Health and Development Intitiative is a linked activity of the International Christian Medical and Dental Association. We are motivated by a belief in a loving God who cares about all the world's people regardless of health status, race, creed, colour or financial or social standing. The International Christian Medical and Dental Association (ICMDA) is an association of more than fifty national Christian medical, dental and health worker societies, and interested individuals, reaching out to Christian doctors, dentists, health workers and students around the globe. We continue to encourage all Christian health workers, services, institutions, local congregations and communities to engage holistically in advocacy, education, prevention, care and treatment. We support the call for universal access to prevention and treatment as part of a right to health and dignity for all. The Award is given to individuals for excellence, outstanding leadership and compassion in responding to contemporary health challenges. The funds awarded annually for winning this award is 1,000 US Dollars. The Burans team has demonstrated visionary and innovative leadership. Noting the huge burden of untreated mental disorders (90% of people with mental disorders receive no treatment) in the northern Indian state of Uttarakhand, Dr. Mathias convened a team of experienced community workers who assessed the needs and then devised an ambitious but yet achievable strategy to increase access to mental health care and promote good mental health in the district of Dehradun. This involved identifying and collaborating with implementing partners who had previous experience in community work in the area, and with community groups (namely people with psycho-social disabilities, their caregivers, community leaders, government grassroots workers and government health services). Since its launch in 2014, Project Burans has strategically and carefully built relationships with respected partners to achieve significant and measurable outcomes, which have been regularly monitored and evaluated. Dr. Mathias, a New Zealander who is fluent in Hindi, has very capably and humbly led the team in setting up and implementing this project from the start, drawing on research, evidence and community expertise throughout. Project Burans is an excellent example of modern Christian leadership in an area of huge need in community health, and I would hope other Christians who wish to improve community health will learn from Project Burans' example. People with mental disorders face much stigma in India (like in most places in the world), which puts them at great socio-economic disadvantage. Many are home-bound due to stigma and psycho-social disabilities from their mental disorders. With about 20 psychiatrists in a population of about 10 million people in Uttarakhand, treatment for mental disorders is not easily accessible. Furthermore, in a region with endemic poverty and inter-religious tensions, life for many is challenging, even without mental disorders to contend with. In choosing the places in which to set up its programmes, Burans deliberately chose communities with high needs and socially marginalised, including a peri-urban area with seasonal brick kiln workers, a rural Muslim area and a slum area with very high numbers of people from the most oppressed castes. In the team composition, Burans has also sought gender equality in leadership, representation of oppressed castes and excluded religious minorities. 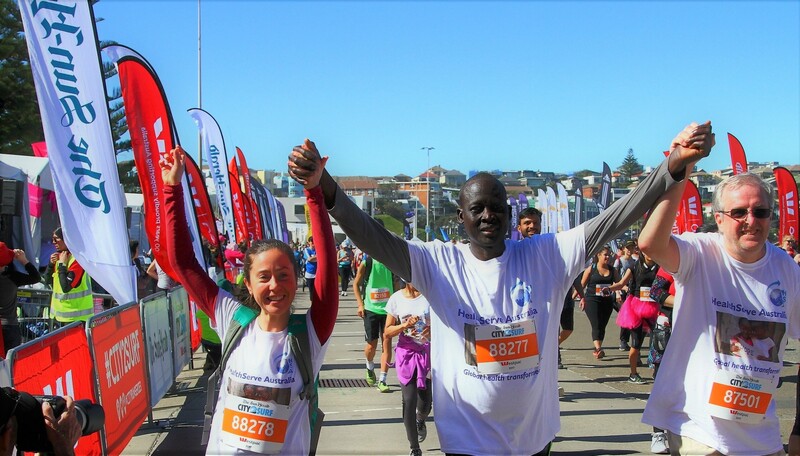 Burans has sought to overcome these multiple and great barriers to train community health workers, who often travel by foot to reach people with mental disorders and their families, then educate them and bring them to seek treatment. I have seen the enthusiasm and dedication of these community health workers who put aside caste and religious differences, and often willingly use their own resources to assist people with mental disorders and their families. bringing them for mental health treatment, some of whom have dramatic stories of improvement (re-integrating into family and community life) after accessing appropriate treatment after many years of suffering from mental disorders. disabilities and their caregivers, many of whom now access peer support that that they did not previously have. who have dropped out of school, some of whom have then initiated petitions to local government authorities (prior to Project Burans, they would not have felt empowered to do this). Christian NGOs and over 800 government community health workers in mental health. English, some of which are available to download from the Burans website. One manual (Nae Disha) is being used by the Catholic Health Association of India for a nation-wide adolescent mental health and resilience programme. state Department of Health residential mental health institutions. medications (as stated by Indian law) in government hospitals for people with mental disorders. health entities at a high level. These are only some of the many achievements of Project Burans, which have clearly improved the access to mental health care, empowered, integrated and increased the dignity of people with mental illness. The organisation leads in bringing justice and the unconditional love and care of the Living God to many people. The organisation is undoubtedly a Christian one, with Christian leadership, but working with a variety of partners and clients of different religions (Hindu, Muslim, Sikh etc. ), in a region where religious co-existence has socio-political sensitivities. Project Burans impresses greatly as an excellent example of how health outcomes can be improved in a very systematic way that demonstrates best-practices in community development and health systems strengthening. We pray and hope that many will learn from the way the Project Burans team serves a very marginalised population in Uttarakhand. Dr Cherian is from the state of Kerala in South India and qualified in 1989 in the Christian medical college , Vellore. After a junior doctor year he returned to Vellore and successfully trained as a paediatrician. This was followed for many years by service for a total of 20 years with the Emmanuel Hospital association , national organisation serving mission hospitals in India. He was director of the organisation in the last two years. During his service he had also become very involved in community health. His wife Shalini, an obstetrician was not only supportive but a very able co-worker. His involvement in the Sudan started in 2011 when he was invited by ICMDA to join a team of five given the task of how South Sudan could be helped in the development of their health services. They felt that teaching local staff would be the best contribution and the institute of health sciences was born .See https://nihsj.org/ Dr Cherian was asked the following year 2012 to lead and develop this project. 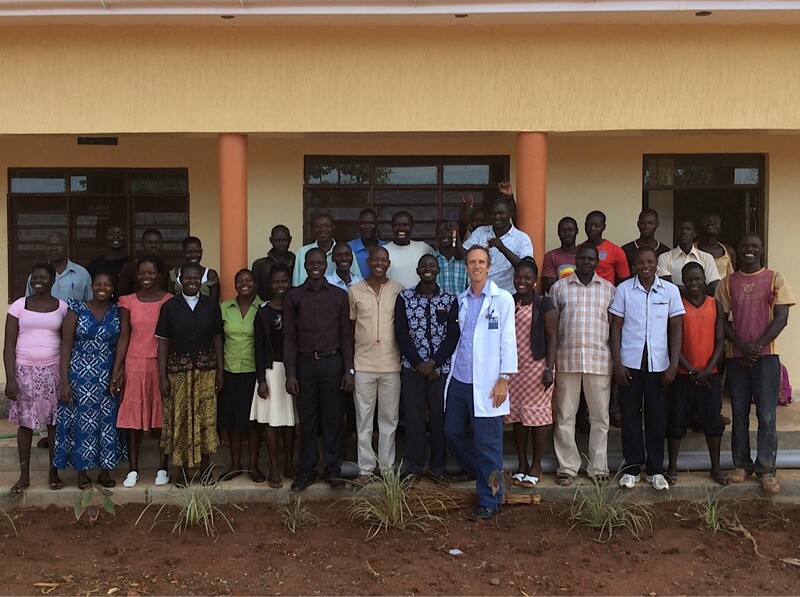 See https://nihsj.org/ Anil and his wife moved to South Sudan at this time both feeling the call of God to serve in Sudan maybe for 7 years. The initial plan was to have the teaching institute in a town called BOR but the following year intense fighting occurred in Bor making it utterly impossible to have the teaching there. The responsibility of an alternative venue for the institute of health sciences largely fell on Anil and the teaching commenced in Mengo hospital in Kampala in early 2014. (Mengo is an Anglican mission hospital on one of the hills of Kampala). There are, I think 51 students in training. Most are high school graduates but around 20% have some experience maybe in community work, nursing or midwifery. There are three teaching streams, clinical medicine and public health, nursing and midwifery.every attempt has been made to attract women students and at present 30% are women. These will complete training in a year’s time. A team of teachers has been formed mostly full time but with some part timers and volunteers. Anil has made a huge contribution to the success of this venture though you would not get that information directly from him. In Sudan talking about communities who have difficulties accessing health facilities is irrelevant as the while health system has broken down and everything everywhere is in a mess and not likely to improve any time soon as now there is intense tribal warfare. 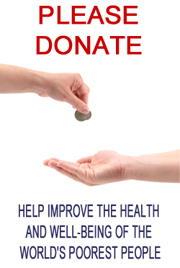 This means that all the population are in dire need and every small contribution is of value. The Cherians are without doubt doing all they can. The hope is that these students when they graduate will return to Sudan to serve there. The training was set up in full co-operation with the government. The plan has been that some should work in clinical settings and some in mission hospitals and others in the community. Every effort will be made to fulfil this aspiration and indeed commitment but the situation in South Sudan is such that anything could happen. Anil and Shalini will continue their commitment to the country when the training is completed. Funding has been difficult and the best contribution has come from the Anglican church. There is much to celebrate and learn from this extraordinary life. Champions for Life, East Africa. 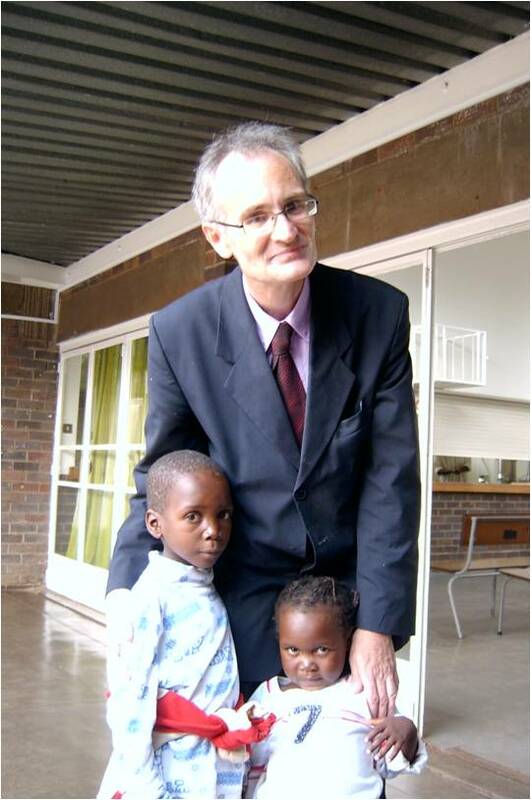 Dr Reid has shown Visionary and Innovative Leadership, influencing the professional practice of medicine and the public’s image of healthcare and HIV/AIDS through excellence in leadership since 1999 when he moved from his country of birth New Zealand to practice medicine in Zimbabwe. He exemplifies selflessness and unwavering commitment in the HIV/AIDS domain and is clearly recognized as a role model in the medical profession by both peers and junior doctors alike. He is a lead researcher in Africa’s largest research study of HIV/AIDS, the DART Program (Development of AntiRetroviral Therapy) alongside Professor JG Hakim; and is also an exceptional lecturer at the University of Zimbabwe’s medical school. In 2005 Dr Reid founded Champions For Life which is a faith-based PSS-psychosocial-spiritual program for children, adolescents, and young adults who are infected or affected by HIV/AIDS. In 2005. Today, once every 3 months, Champions For Life Day Seminars are held across 11 African nations. These events see as many as 100 -600 children infected and infected by HIV come together with leaders from the community, health clinics and even business community for a day where barriers are broken down and they receive the psychosocial spiritual support that they need. During the day seminar the children enjoy dramas, games and receive a hot meal and at the end are taken to a central bus terminus where they are each given bus fare to get home. Dr. Reid and his exceptional team of leaders ran such a program in one of the toughest African economies before they decided to expand into the SADC region. Today more than 15, 000 children from 11 African nations, coming from poor marginalized backgrounds have been reached and served thanks to Champions For Life. We congratulate Dr. Reid and his friends for their remarkable and ongoing achievements giving thanks to God for the many lives touched through his love and commitment.